Havent tasted the red variety though … sure it’s not coloring added!! We can give every excuse to consume durians. But this one comes from an “ang moh” (Mat Salleh). 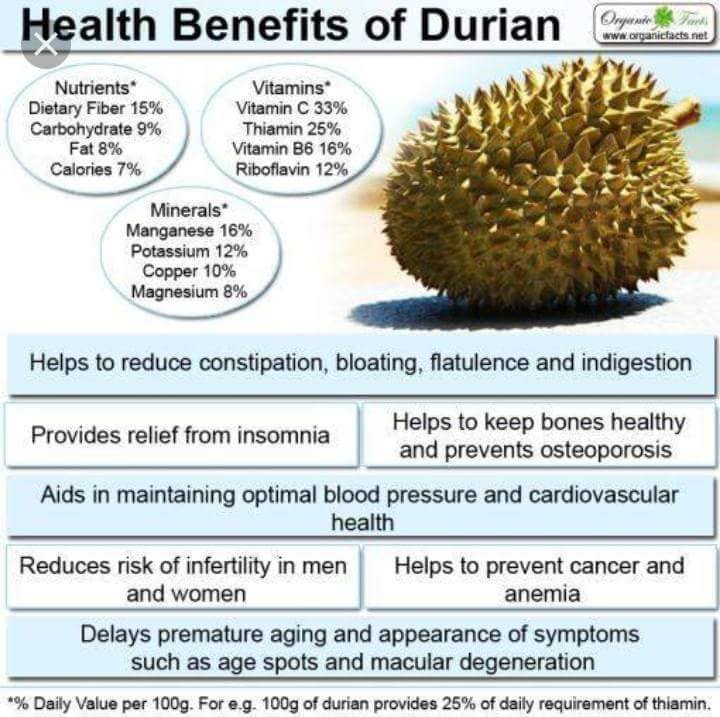 (NaturalNews) Durian is a little known fruit from Asia that has an extremely pungent smell and an amazingly sweet taste. The smell of the durian fruit is so bad that many hotels in the areas where durian grows will not allow their guests to have the fruit in their rooms. But those who brave the smell are quickly won over by its beautiful taste and amazing health benefits. Unlike most fruits the durian is left to fall from the tree as this is a sign that it is ripe to eat. 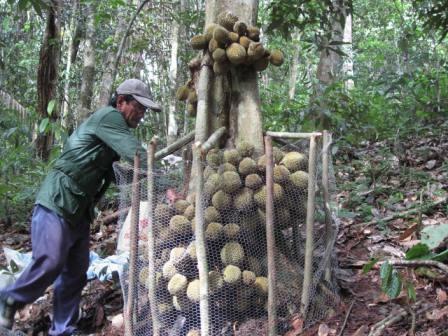 People in the local villages of South East Asia, where the durian is most common, call it “The King of Fruits,” and they will clear the floor under the trees near to harvest time and then camp near them for up to two months just to make sure they get the fruit at its peak. This is a truly exceptional and healing fruit. Traditionally the durian fruit was seen as a powerful aphrodisiac, while women would eat the ashes from burnt durian skins to help them recover after child birth. 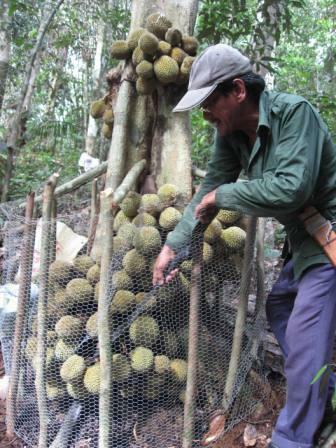 But concoctions made from the leaves of the durian tree were also used to help reduce swelling and cure skin disease. More recently nutritionists have claimed that the durian fruit can help lower cholesteroland cleanse the blood as well as cure jaundice and alleviate fevers. actually recognize what you are ѕpeaking about! Bookmarked. Kindly also viѕit my web site =).